Jay Martin is married to Dr. Dawn Martin, a Pediatrician with All for Kids Pediatric Clinic. They have three children named Hallie, Karis and Sloane. 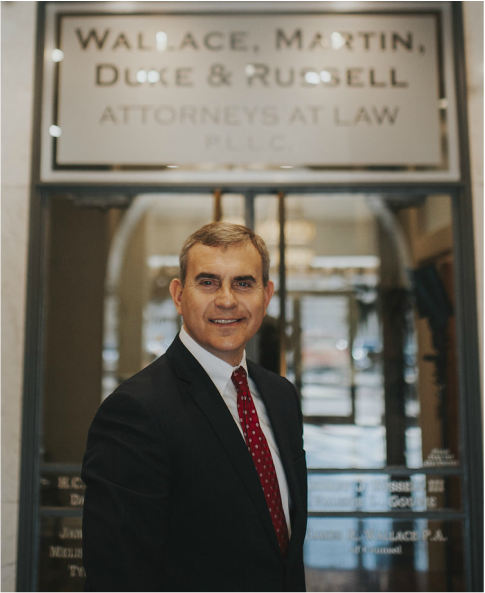 He has been with James R. Wallace & Associates since 1997. He served two terms in the Arkansas House of Representatives from 2003 through 2007, representing North Little Rock and Sherwood. He was the Majority Leader in the 85th General Assembly. He became President of James R. Wallace & Associates in 2006. His principal areas of practice are Civil and Criminal Litigation, Wills, Trusts and Estates and Business Formation. Jay's passion is in his family and with an inner-city ministry called the Amelia B. Ives Housing Projects, which he founded in 1997. It is there he pastors Metro Worship Center and mentors three young men. Jay's areas of practice: Consumer Advocacy, Juvenile Representation, Custody Litigation, Adoptions, Guardianships, Protective Orders, Insurance Bad Faith, 18-Wheeler Accidents, Criminal Defense, Non-Profit Corporations, Wills, Trusts, Estates and Probate.